Gorrud’s Auto Group is a premier used car dealership owned and operated by the Gorman family, who are actively involved in the day to day operations. With over 50 years automotive experience, the Gorman’s and the Gorrud’s Auto Group team have built a reputation of taking care of thousands of customers like you who have relied them for all their automotive needs. Gorrud’s Auto Group has been serving the greater Milton area, including Toronto, Mississauga, Georgetown, Brampton, Oakville and Burlington proudly since 1960. With a friendly and helpful sales staff, highly skilled mechanics and multiple automotive certifications, we are your greater Milton used car dealer. Our mission is to make every customer a customer for life by consistently providing world class services. 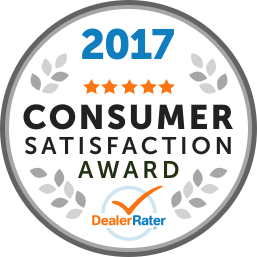 Superb customer care, competitive prices and a knowledgeable staff are a few of the things you will find when searching for used cars in our dealership near Toronto, Ontario. Visit us today and take a test drive in your dream car! Dealt with John Moll Great straight shooter highly recommend No pressure sales and answering all questions. follow up calls impressed me keep up the great business. I considered trading my car and I found gorrud's auto on auto trader. John was great and helped me find what I actually needed in a car. I was genuinely suprised at the transparency of the company and even though I ended up keeping my car, I still had an amazing experience. The staff was very friendly, understanding and respectful. No pressure to purchase a car. I will definitely be a returning customer. I worked with David and Reg, both listened carefully to figure out exactly what I was looking for & helped me narrow down the choices very quickly. Very patient with the fact I wanted to take my time and make sure I got exactly what I wanted while I weighed all my options. Knowledgable. Kept in contact without being pushy or making me feel pressured. Very polite and very personable. Definitely a great experience. Thanks guys!